Infinity War is a massive movie, but it was almost bigger with the addition of Howard the Duck, according to the Russo Brothers. Marvel Cinematic Universe fans have been wondering about the cult favorite character ever since he first showed up in James Gunn's Guardians of the Galaxy films. 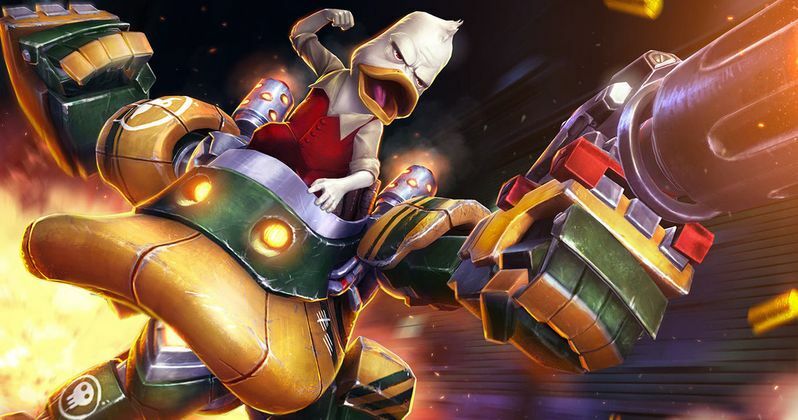 While Gunn claimed that there could be a future for the talking duck in the MCU, he was uncertain of a standalone Howard the Duck movie happening in Phase 4. In a recent interview, Anthony Russo revealed that Howard the Duck was supposed to be in Infinity War, but was later cut out of the script. Russo admits that the scene was beloved by him and his brother, but in the end, it just didn't work out. Hopefully Howard ends up making it to Avengers 4 now that we know that he was almost in the last film. Russo explains why they cut Howard the Duck out of Infinity War. "Howard the Duck was in one draft of the script. Howard the Duck actually had a really good scene... we were going to cameo with (The Hangover star) Ken Jeong, with Howard the Duck. That was a much-beloved scene by us, but it just didn't end up fitting at all." Howard the Duck's part in Infinity War was going to take place with Chris Pratt's Star-Lord character. In true Howard fashion, he was going to playing poker with Ken Jeong. Star-Lord, aka Peter Quill, was going to be on the hunt for information on some weird planet where he interrupts the poker game. One can imagine that Howard wouldn't be too happy about the interruption. Joe Russo had this to say about Howard the Duck's cut scene in Infinity War. "It was (Peter) Quill trying to track down some information from Howard the Duck on some outlier planet and interrupting him during a poker game." Even though he wasn't used, it's awesome to know that Howard the Duck is still a part of the MCU, which means that he can possibly pop up anywhere. Since James Gunn was fired from Guardians of the Galaxy 3, it isn't clear where Howard will show up next, but it would be awesome to see him in Avengers 4, or just about anywhere really. Maybe he can show up in Captain Marvel in a time before he met up with The Collector. In other Howard the Duck news, Lea Thompson claims that she is going to Marvel Studios to pitch a new Howard the Duck movie, which she hopes to direct. Thompson starred in the original Howard the Duck film in 1986, which has not aged very well at all. The movie actually did a lot of damage to the character's cool comic status. However, there are still fans of the comics and the original movie that would love to see the further adventures of Howard the Duck. You can read more about what the Russo Brothers had to say about Howard's cut Infinity War scene at Fandom.